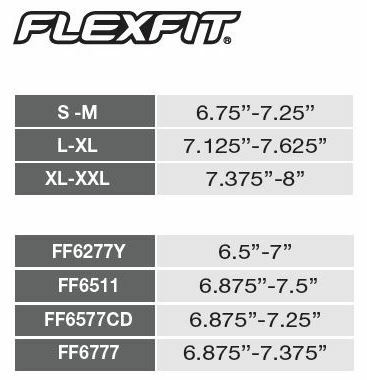 Click the button below to add the FF6297F FlexFit Pro-Baseball On-Field Cap to your wish list. This FlexFit Pro-Baseball On-Field Cap Features: 34% Cotton / 3% Spandex / 63% Polyester. It's a 6-panel, high profile 3 3/4” crown, with 8 rows of stitching on a rounded flat visor. It's also got sewn eyelets.